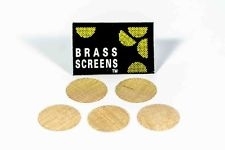 Brass Pipe Screens - 5 Pack. 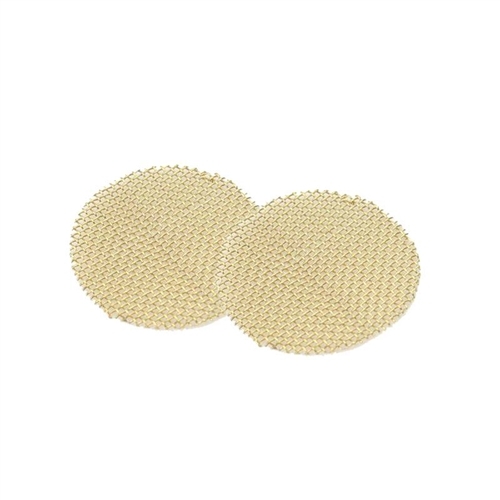 Pipe screens are an ideal solution to prevent tobacco flakes from dropping into the shaft of the pipe thus interfering with the draw and clogging your pipe. Made for mini and small bowl pipes, each screen is .75 inch in diameter and can be trimmed to suit the bowl size needed. There are 5 brass flat screens in each pack making a total of 25 screens. The pack is convenient to carry in a purse or wallet.